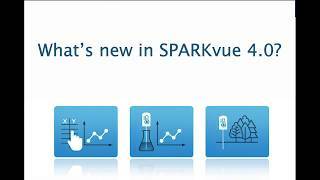 Download or update to the latest version: SPARKvue 4.1.0, released 12/20/2018. Already have SPARKvue? Download the most recent update for free. Easy-to-use and yet powerful, SPARKvue's collaborative features make this application ideal for use in and out of the science classroom or lab. For Windows or Mac Computers, mobile apps for SPARKvue are free. Generous Site License includes rights to install SPARKvue on all computers on your school campus or university department. One-time cost with free updates. Digital Download version of the Site License. Includes rights to install SPARKvue on all computers on your school campus or university department. One-time cost with free updates. Single User License includes rights to install SPARKvue on one computer. One-time cost with free updates. Digital Download version of the Single User License. Includes rights to install SPARKvue on one computer. One-time cost with free updates. Note: The Site License extends to computers owned by faculty, staff, and students. Full license information. Our growing line of Wireless Sensors connect directly to your devices via BLE 4 without an interface. Connect any of the 70+ PASPORT sensors with an interface such as the low-cost AirLink or the high powered 550 Universal Interface. When students collect and analyze data in real time it deepens their understanding. See our white paper for full details. Your one-time purchase of a license or download of the app includes free updates. SPARKvue software is constantly being refined with additional features, streamlined processes, and support for our innovative new products. Much of that improvement comes directly from feedback provided by educators. If there is something you would like to see in the next version of SPARKvue, we want to hear from you. Our Digital Library has hundreds of free experiments and lab activities. 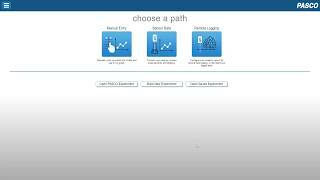 Search by subject and grade level or by specific PASCO products. Download editable student labs, teacher notes with setup instructions, SPARKvue or Capstone software configuration files and more.